Campus Police Presence | Colorado Mesa Univ. The Campus Safety Officer Program, started fall 2016, includes full-time police officers on campus under the direction of Director of Campus Safety and Student Conduct, Pua Utu. 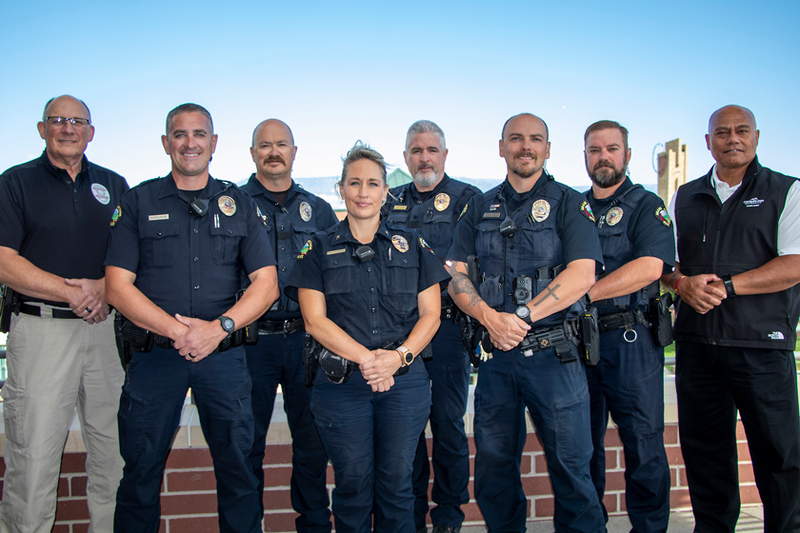 CMU's police officers work in conjunction with five officers from the Grand Junction Police Department (GJPD) assigned to the campus for a three-year term. The officers assigned to the campus have a station located on the northside of campus at 1060 Orchard Avenue. To report a crime that is an EMERGENCY, DIAL 911. The non-emergency phone number for the GJPD is 970.242.6707. Blue emergency telephones are strategically placed in CMU's parking garage. When activated, the phones provide a direct connection via a 911 line to the regional communications center. When the phone is in use, a blue strobe light is activated which not only calls immediate attention to that particular area, but also assists emergency responders for a more direct response. To use the phones, press the red emergency button. Wait for the dispatcher to answer and explain the problem. CMU offers a Safe Walk Program designed to provide safe travel around campus for students, faculty and staff. Trained Campus Safety Assistants (CSAs) are available to walk you safely anywhere on the main campus and up to two blocks off-campus. This service is available daily from 6pm-2am. To contact a CSA, call 970.260.2683.